On Monday, 8 August 2016, Sindhi drama writer and novelist Ali Muhammad – better known as Ali Baba – passed away in Karachi at the age of 76. His Sindh language short stories, TV plays and novels have received wide acclaim all over the world and helped to spread awareness of Sindh’s history, culture and socioeconomic conditions. Fellow writers and local politicians expressed their condolences over Ali Baba’s passing. Sindhi drama writer and novelist Ali Muhammad alias Ali Baba passed away on Monday in Karachi. The 76-year-old was suffering from multiple diseases and died due to brain hemorrhage. Ali Baba was born in Kotri in 1940 and his father, Muhammad Yousuf Baloch, was a clerk in Pakistan Railways. After completing his secondary education, Ali Baba also joined the railways department as a clerk and later worked as an assistant manager at a textile mill. The deceased political and Sindhi scholar Pir Hisamuddin Rashdi called him the ‘narrator of Sindh’s history’ in one of his books. Ali Baba traveled the entire province and depicted the essence of Sindhi culture in his dramas. His short story, titled Dharti Dhikana [Expelled from the soil], which narrates the plight of the mass migration [of Muslims and Hindus] after partition of the Subcontinent in 1947, is one of most the popular works in Sindhi literature, along with his novel, Mohenjo Daro. One of his most famous dramas, titled Dungi Manjh Darya [Sailing boat in river], got international fame and in 1981 won the award for the third best drama during the annual drama festival in Munich, Germany. Sindhi writer Sardar Shah, who has now been appointed as the provincial culture minister, expressed deep sorrow over the sad demise of Ali Baba. “His [Ali Baba] services for the promotion of Sindhi language and literature are unmatchable. He was a well-wisher of Sindhi language and will always remain in the heart of people,” he added. Former Sindh culture minister Senator Sassui Palijo also grieved over his demise, terming it a big loss for Sindhi literature and drama. The funeral prayers of the deceased writer were held in Yousuf Baloch village near Kotri Railway Station and he was laid to rest in his family graveyard. The Sindhi Language Authority (SLA) suspended its official work on Monday [8 August 2016] to mourn the death of the Ali Baba. In a statement, SLA’s chairperson Sarfaraz Rajar said the deceased exquisitely highlighted the civilisation of Sindh in his work. 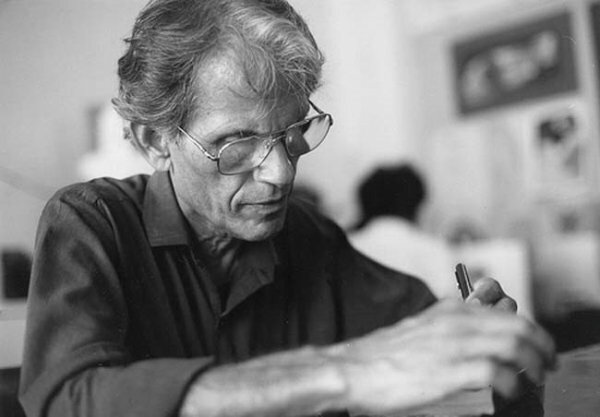 “His death will leave a big void on the literary landscape of Sindh,” he said. The Sindhi Adabi Sangat [Sindhi Literary Fraternity], an association of Sindhi writers, novelists, poets and dramatists, has also announced three days of mourning. “Sindh has been deprived of a peerless playwright,” said the association’s secretary Dr Mushtaq Phul, adding that “He promoted Sindhi literature all through his lives.” Phul informed that all the offices of Sindhi Adabi Sangat will mourn his death by organising condolence references for the deceased writer for three days.